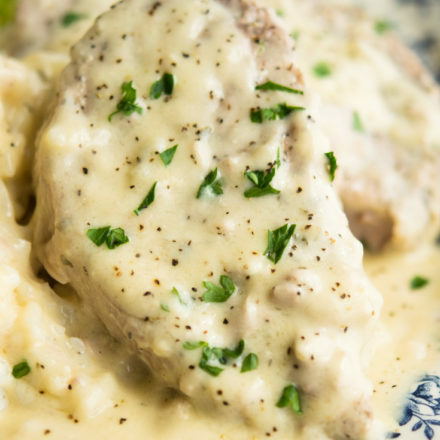 Our Crock Pot Ranch Pork Chops are Super Tender and Juicy and smothered in lotsa creamy gravy that has just the right amount of ranchy zing! Our recipe for Crock Pot Ranch Pork Chops are warm and inviting, and a fantastic weeknight dinner to whip up as the days stay warm and the nights turn cooler. 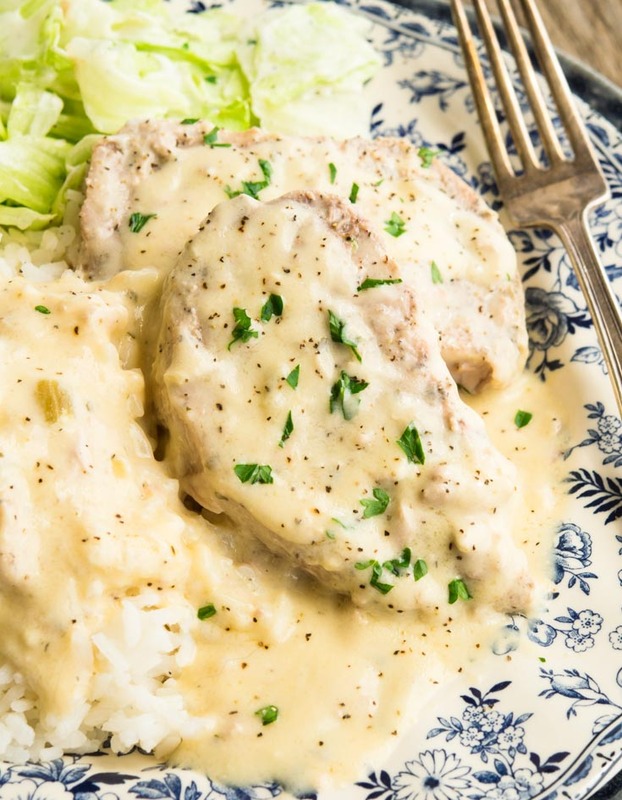 Kind of like Crock Pot Pork Chops with a kick, these slow cooker ranch pork chops won’t add any extra heat to your house during the day. Yet, they slowly simmer into tender deliciousness come night. The kids will arrive home from school to the comforting smell of dinner, and you won’t have to worry about making it! 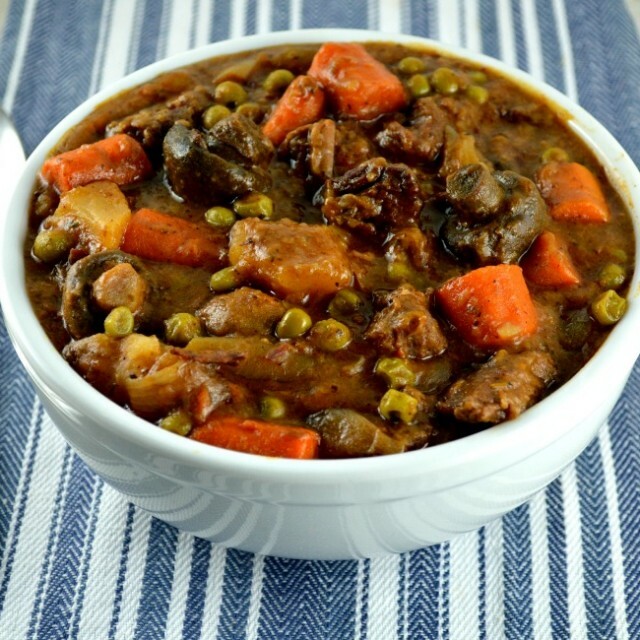 I swear, the slow cooker should be considered the 8th Wonder of the World. Crock Pot ranch pork chops require very little prep. 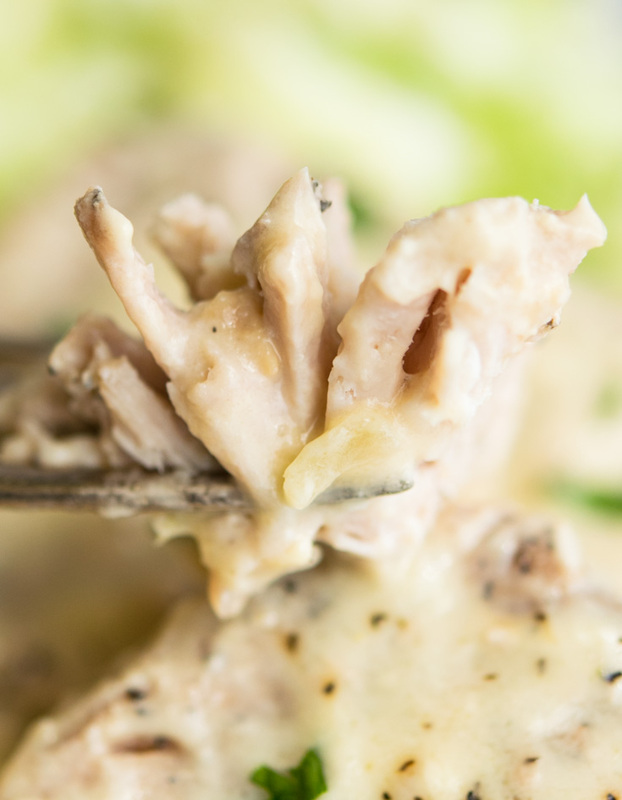 The sauce that these crockpot ranch pork chops simmer in is SO delish! 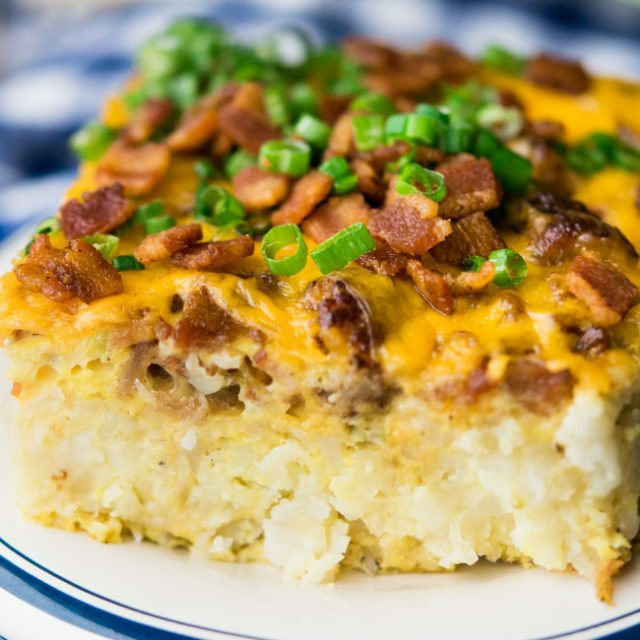 This recipe makes lots of sauce to slather on mashed potatoes, rice or pasta! 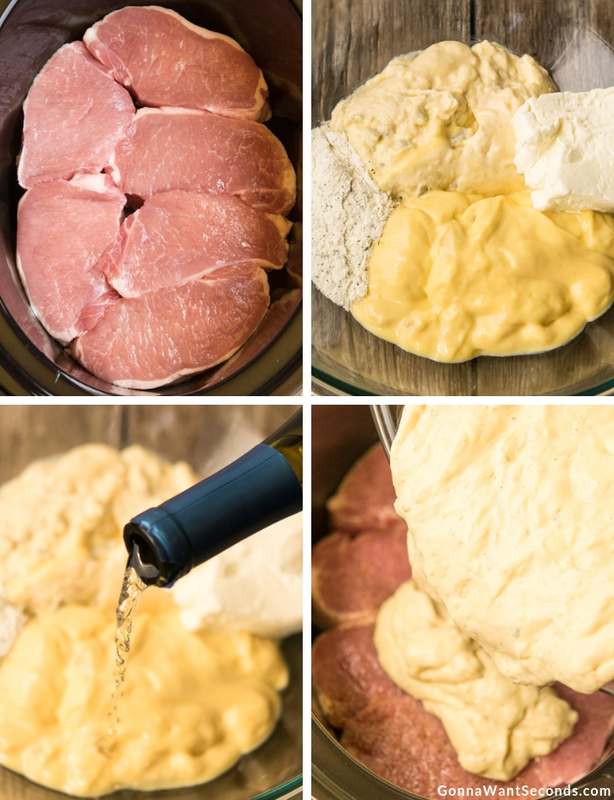 What Ingredients Do You Need To Make Crock Pot Ranch Pork Chops? 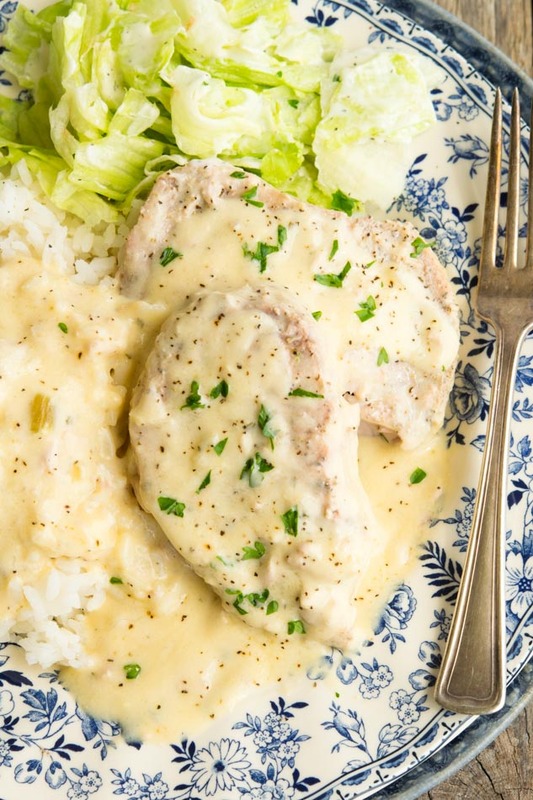 These creamy ranch pork chops have a short ingredient list, which makes them super appealing for a weeknight dinner. You’ll start with pork chops of course! Ranch dressing mix, cream of chicken soup, cream of mushroom soup, cream cheese and white wine make up the sauce. Fresh chopped parsley make a beautiful garnish, and the remainder of your ingredients really depends on how you’d like to serve them. More on that later! Note* If you’re looking to make the very popular 4 ingredient crock pot pork chops recipe, you’re very close with this one. Simply omit the white wine and cream cheese and you’re there! How Do You Make Crock Pot Ranch Pork Chops? A jazzed up version of my easy crockpot pork chops, these could not be more of a breeze to whip up unless someone else was doing the cooking. The only prep work required is to simply whisk the sauce ingredients together. No browning the chops and dirtying another pan you’ll have to wash. To make these you’ll add the pork chops in a single layer on the bottom of the crock pot. 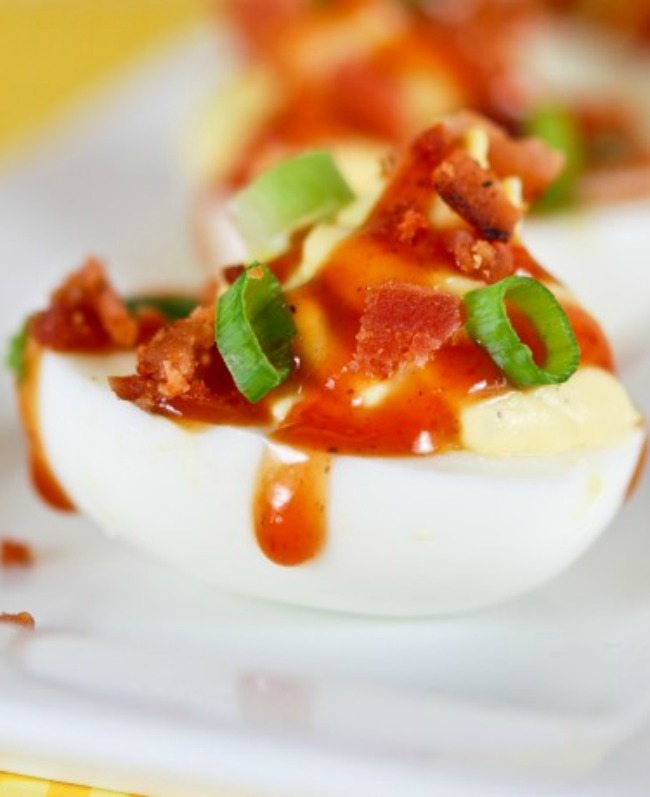 Mix together both soups, the ranch dressing packet, cream cheese and wine in a small bowl. Pour it over the pork chops. Cook on low for about 7 hours until fork tender. Garnish and serve. Place pork in the crockpot. In a small bowl mix all the ingredients. Add wine to the mixture. Evenly pour mixture in the crockpot. Cook on high for 3-4 hours. 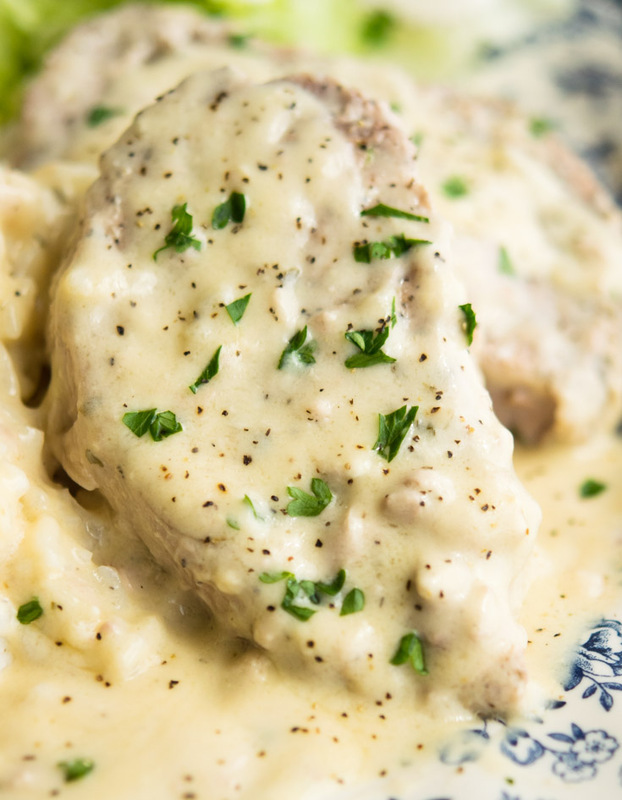 Our Crock Pot Ranch Pork Chops are Super Tender and Juicy then smothered in lotsa creamy gravy that has just the right amount of ranchy zing! Place the pork in a single layer in crock pot. In a small bowl, mix together Dressing Mix, Cream of Chicken Soup, Cream of Mushroom Soup, Cream Cheese, and White Wine and evenly pour over pork. Cook on high for 3-4 hours or on low 5-7 or until pork is fork tender. Serve over cooked rice or pasta. Ranch Packet: Technically, you could use any brand of dry ranch dressing mix in this recipe. 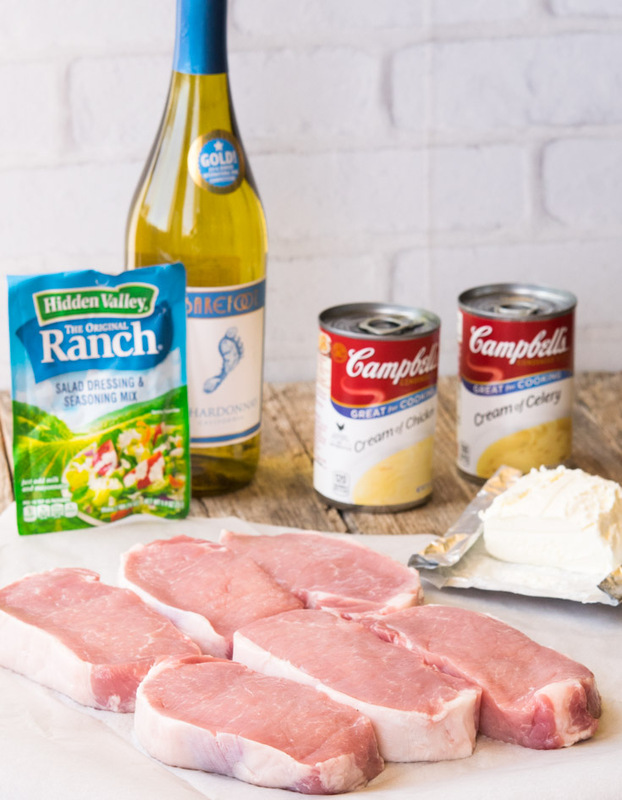 My recipe is very similar to Hidden Valley ranch packet pork chops, and I choose to use their dry mix. The taste is hard for other brands to live up to. It has the perfect amount of tang and sweetness and really gets along with this dish. Canned Soup: I make my crock pot pork chops with cream of mushroom soup (and chicken), and let me tell you the taste is incredible. If you’re feeling motivated or adventurous, Clean Eating Magazine has a great take on homemade cream cooking soups. 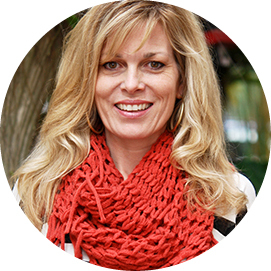 It will add a little time to your recipe prep, but if you’re okay with that, then so am I! I’d love to know how it turns out! Oven Baked: There is a recipe kicking around out there for pork chops with cream of chicken soup and ranch dressing in oven baked goodness. 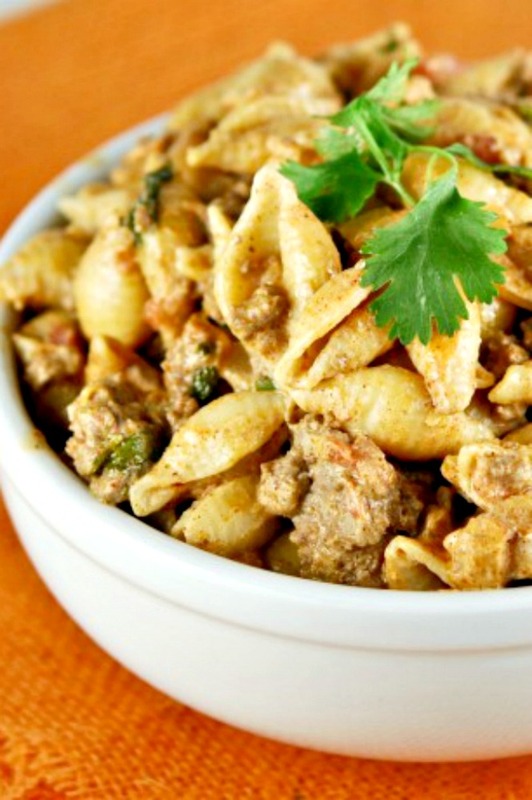 You can certainly make my recipe this way, and it still makes for a delicious and quick dinner. You can use bone-in pork chops here, but cook times will vary. Simply prepare as normal and place ingredients in a baking dish. Preheat to 350, and cook in a preheated oven until tender. Which Cut Of Pork Is Best In This Recipe-Bone In Or Boneless? To be honest with you, both boneless and bone-in pork chops work well in this recipe. Boneless tend to be easier for me to find, so I use them most often. Bone-In pork chops have a little more flavor. My crock pot pork chops ranch style are super versatile. You can serve them with a laundry list of options. 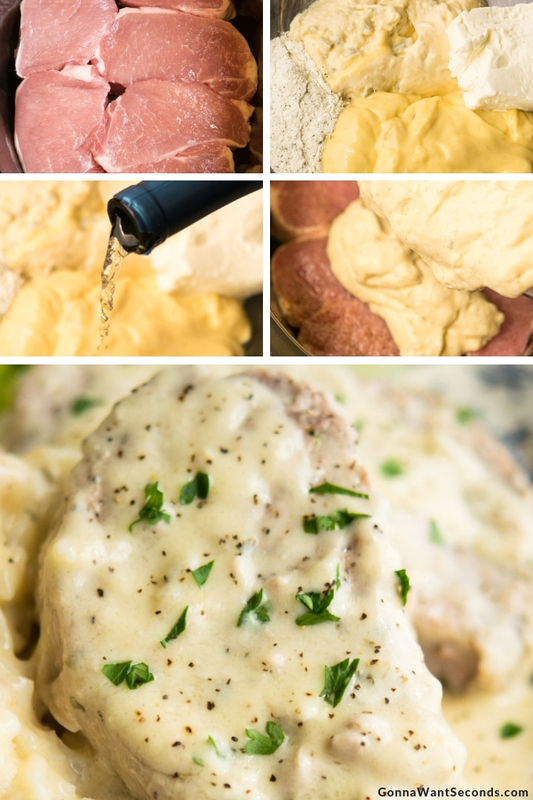 You can make a good old-fashioned favorite: crockpot ranch pork chops and potatoes, by whipping up some mashed potatoes and layering the pork chops on top. 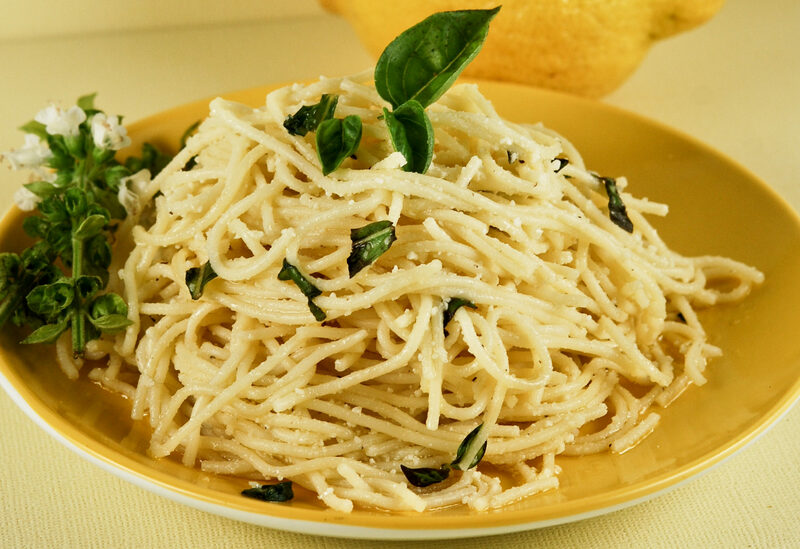 You can do the same with white or brown rice, and a pasta of your choice as well. Pull them apart and put them on slider rolls. Serve these tiny, tasty treats up with a crunchy green salad, baked beans or roasted veggies. 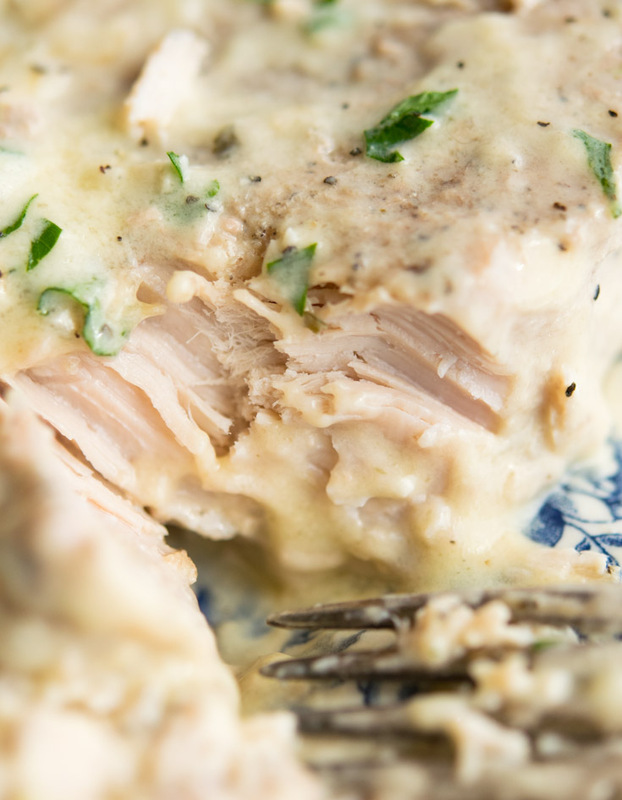 Whatever your mood, there is a side that will compliment crock pot ranch pork chops. Trust me. How Long Do You Cook Pork Chops In The Crock Pot? Much like ovens, every slow cooker differs. Cook time can depend on the brand, age of the cooker you use. Additionally, the size of the pork chops you’re using makes a difference. The most important thing you can do to keep these from getting tough is not overcook them. Refer to this list of 10 Food Safety Tips for the Slow Cooker when you’re preparing this recipe (or any slow cooker recipe for that matter). It will help you make this meal not only ultimately delicious, but ensure that you’re using your slow cooker the right way (cook times and heat level etc.). It’s a great reference guide! Previous RecipeClassic Peanut Butter Cookies – Soft, Chewy and Oh So Peanut Buttery! Next RecipePulled Chicken-Easy, Fall Apart Tender, Made In The Crock Pot! Oh my goodness, goodness is right with your recipe! Have made this five times using boneless loin chops, pork tenderloin and boneless chicken breasts. I use whatever open white wine I have & found its cheaper & economical to buy those little wine 6 packs so the wine won’t turn bitter. 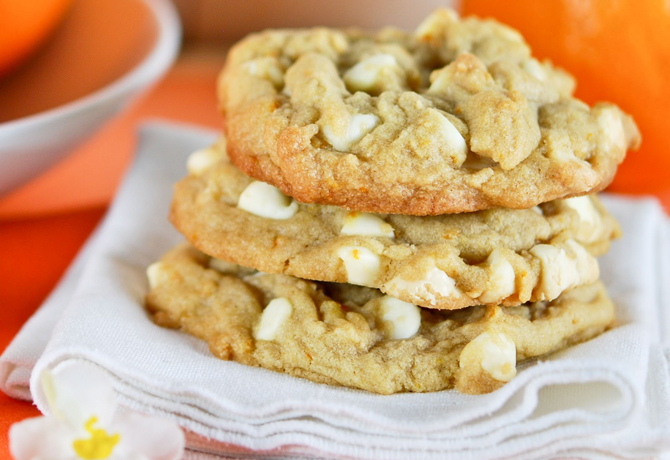 You’re so right about taste being different without the cream cheese. One time I only had 2 ounces and it wasn’t as rich and creamy. Recipe never fails! Used your great idea about additions and have tossed into the soup mix thinly sliced potatoes, or sliced portabellas, whole cranberries, even a box of dry stove top stuffing. Kept cook time the same for all four dinners. Would this recipe work just as well if you omit the cream of chicken and use another cream of mushroom soup? We have poultry allergies in our family. I think we had a bit of a misunderstanding. I do not want to omit the cream cheese, but the chicken soup (cream of chicken soup)? I am making this for the second time today. I’m having to double it due to my two teenage children booking for more the last time I made it. Super easy and tasty. Thank you. Wow, that’s a great news Christopher! Glad you all like it! Would there be a way to adjust this for a pressure cooker? Hi Lex. I’m on a mission to adjust all my recipes for the Insta Pot. Sorry I’m not quite finished! Hidden Valley has both a milk and buttermilk version of their dressing mix. I believe the flavors when mixed, are very different. Which do you use?